“Becoming Eli” is the first graphic novel in Romania that dares to address a tough topic – abandonment, isolation, abuse and its consequences. 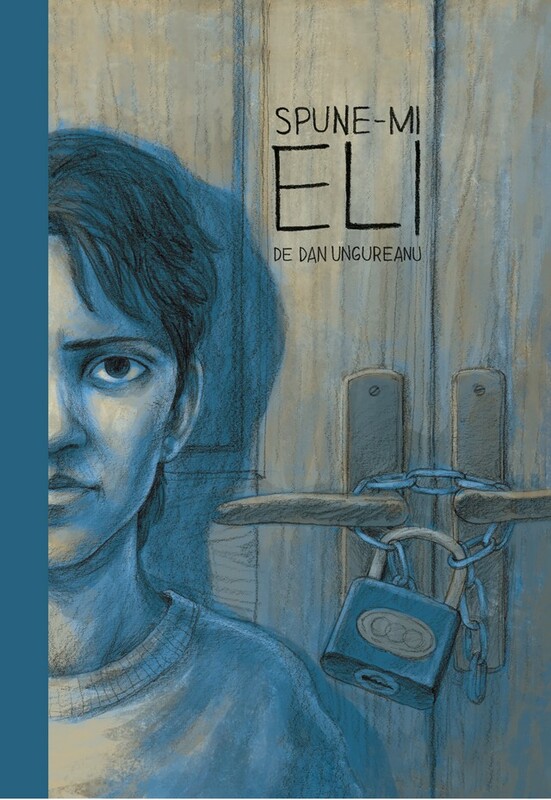 Written and illustrated by Dan Ungureanu, the book introduces us into the world of Eli – in fact, in the world of thousands and thousands of children abandoned in residential institutions, later becoming adults, the majority with disabilities. The story follows the evolution of the character, from a child left in the care of the state to an adult able to maintain itself and an activist for deinstitutionalization and for the rights of people with disabilities. Each chapter is based on an interview by the author to Eli, following in chronological order significant episodes of her life (first memories in the special school, moving from one institution to another, life in the community, difficulties in adapting to permanent changes, etc.) . The novel aims to familiarize the general public with the issue of isolation and raise awareness about the difficulties faced by institutionalized people, including those related to integration and adaptation to life in the community, but also the presentation of existing alternatives: deinstitutionalization and the creation of inclusive community services. In March 2017 there were still over 19,000 children and 18,000 adults with disabilities in residential institutions under state protection. Protection from institutions means abuse. It’s the beating from those who should care for you. It is the daily terror of the lack of security, the constant fear of beating, the lack of access to good and enough food, heat, hygiene, intimacy. There’s no choice to make your own decisions – including whom you are sleeping with, when you walk around or how you get dressed. There are alternatives: community based support services where people with disabilities can learn how to live an independent life, starting from how to turn on the cooker stove, how to shop, how to pay for expenses, to work, have fun, set up a family, live a full life with its ups and downs. Deinstitutionalization is the process of transition from institutions to such support services. Deinstitutionalization is not the alternative but the way to alternatives. We can be together with the thousands of Eli from Romania! Editorial project co-funded by the National Cultural Fund Administration, 2017. All proceeds from the sale of the book go to Ceva De Spus Association. Details on the facebook page of the book, “Spune-mi Eli/Becoming Eli”.